Bloody hell, this story's been something, hasn't it? For those totally out of the loop, allow us to quickly get you up to speed. Back when the collector's edition for Fallout 76 was revealed, it was advertised that a canvas bag would be included. However, when fans received their Power Armor Edition of the game, they found that the canvas bag wasn't canvas at all -- it was made of cheap nylon instead. The whole thing blew up on social media, forcing Bethesda to respond. The company announced that it would be giving people who bought the Power Armor Edition 500 Atoms -- the equivalent of $5 in the game's microtransaction store. Unfortunately, 500 Atoms gets you next to nothing of worth. Of course, this move only fuelled the fire, and Bethesda was hit with an even bigger backlash. And so here we are now, with Bethesda saying that it'll actually send Power Armor Edition buyers canvas bags. Mental, eh? Over on Twitter, the company writes: "We are finalizing manufacturing plans for replacement canvas bags for the Fallout 76: Power Armor Edition. If you purchased the CE, please visit https://beth.games/2QDropM and submit a ticket by Jan. 31, 2019. We’ll arrange to send you a replacement as soon as the bags are ready." Click that link and you'll be able to fill out a bag replacement request. Did we really just write that? Quite the turn of events, eh? Dare we ask if you'll be requesting a replacement bag? Trash that cheap nylon in the comments section below. God help Bethesda if those replacement bags aren't perfect. They kinda had to, didn't they? It was pretty much false advertisement. How about sending them a good game? So... do people that want a bag with the logo of Fallout 76 on it even exist? It's hard to imagine. I guess the money they saved from barely QA testing the game has to go somewhere. (This is from someone who actually enjoys the game, lol). Finally there's some positive news about this game. @Gatatog As someone that worked in QA for years, the most frustrating thing is that suits will tell your lead "don't document any more bugs until the next build" or "don't document any game breaking bugs as we're hoping this is the gold build, we can patch it later." Then, if something goes wrong, they throw QA under the bus. "Why didn't anyone catch this?!?" We can't exactly say uhhhh I found that two weeks ago but was told not to document it. Moral of the story, be nice to QA. It's quite often not their fault. @Feena No they are doing this to avoid an even more expensive false advertising lawsuit. It has nothing due to pleasing fans. @Kidfried Probably not anymore, but they'd rather they actually got what they initially paid for back when they did. @glassmusic I understand mate and I wasn't trying to make fun of the people who worked to QA test the game, just suggesting that Bethesda should have given those testers a little more time. From Bethesda, to us, to landfill. @ShogunRok For real. Holy moly, what a mess they have gotten themselves into. @Gatatog Oh I didn't interpret your comment as mean spirited toward QA or anything, I was just trying to shine a light on something that I feel often gets overlooked. The same suits that decided to release a buggy game are the ones who decided how long the game would cook in QA. Same ones that thought "canvas, nylon, what difference does it make? Those dweebs won't even notice! :cackles in privilege:"
@Feena no they aren't, fixing a problem of your own making that decieved said fans isn't going the extra mile at all. Smart move. This was an obvious bait and switch, and this will be much cheaper than arbitration or a lawsuit. Don't be greedy next time Bethesda. @Danloaded They can outsource the bags though. The game is their baby, and only they have the power to fix it (or hire modders that made the unofficial Fallout 4 patches). When I got the Undertale CE for the Switch from Fangamer, it was late getting out as the supplier for the custom slip covers did not get the covers to Fangamer in time. Fangamer proceeded to email me and let me (as well as everyone else who preordered this product) know what was going on. A week later, and the covers were still not there. Fangamer again let me know and stated that they rush ordered temporary replacement covers to get stock to the customers, and would ship the real covers seperately at no extra charge when they were available. They also gave me a discount for my next purchase as an apology. This is how a good company deals with this situation. If Bethesda did something like this in the first place, they wouldn't have been in this situation. But lest we forget, Bethesda doesn't care about their customers, and are only doing this to try and save face. Sorry, Todd. It's not working for me. I wasn't even interested in Fallout 76 to begin with and even I feel ripped off. 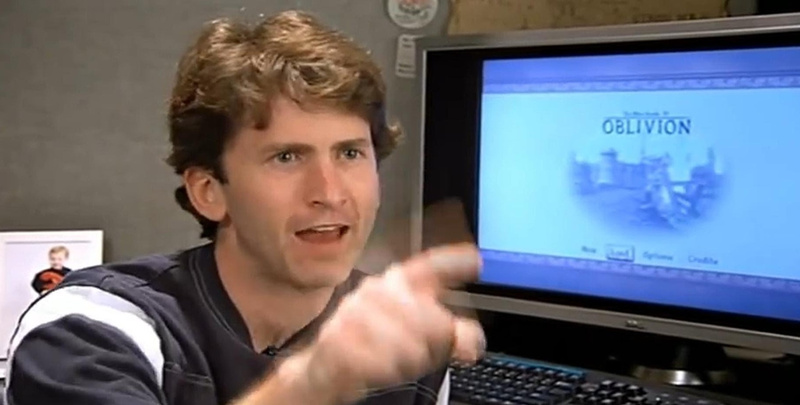 I'm sure the money I would've eventually used to buy Elder Scrolls VI could be put to better use. Bethesda could've avoided all this if they would've given their customers what they promised. These customers need some sort of compensation for the hassle. @Tasuki But it costs 750 atoms to buy a digital canvas bag! They slapped us all in the face with that one, didn't they? @Tasuki Boy, EA is going to be in alot of trouble if Bethesda can convince the court that 500 atoms is an actually worthy bit of compensation. "It has no real world value!" Uh huh, prison time for pushing the gambling boxes! I really dont think they're going "the extra mile" for the fans. Just doing what they were supposed to do in the first place. This is damage control. They tried to get the cheap solution but it back fired. They have a name and level to stand for and millions invested in this game. 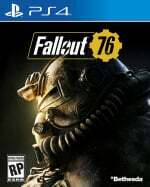 If Fallout 76 is the base to the new Elder's Scroll, they must, at least, try to clean their image, or they risk another catastrophe..
Can you imagine if another company like, say, amazon do this? Man, never change games industry, never change, lol. Ps. Actually please do change, don't do this kind of shi*t anymore..
@Feena Giving product that was promised to consumers is not "pleasing fans", it's called normal business transaction lol. That's quite a picture at the top of the article. Was he that aggressive and confrontational in the video or did you just screenshot exactly the right moment. Now you can finally rock a bag of which the logo advertises you paid $200 for it. well unlike releasing a broken game this was a physical item they miss advertised. So they kinda had to do it or refund customers as in a few countries they were legally obliged to do so. How would anyone want to give Bethesda their money after this whole Fallout 76 farce is beyond me. Gamers will be gamers though so as soon as the next Elder Scrolls comes around.....(adopts zombie voice) "here take my money day one". At this point people want the nice bags more than they want the game to be fixed. @NintendoFan4Lyf When you don't get what you paid for, the right definition is fraud, swindle or hoax. I bet they end up asking people to pay for the delivery of the new bag and to return the old bag. They have to find a way to make this worse. @glassmusic "We can't exactly say uhhhh I found that two weeks ago but was told not to document it"
Why not? That is your job..
@NintendoFan4Lyf live in the first world you get first world problems. @Azikira it almost looks like they gave you that much so you had to buy more for it to be useful. The way it was going, I half expected Bethesda to send everyone a T-shirt, printed with "I spent $200 for a game and all I got was a sh*tty nylon bag!" @Tasuki exactly. Cringeworthy as the "holy internet fury" rhetoric always is, this here was a legitimate customer/producer issue - YMMV on the scale, but not on legitimacy. Bethesda is taking measures to settle something with people here, not with fans. @MartinJames Because you’d lose that job, getting blackballed from the industry in the process. Why didn't they just do that in the first place? Ooh,amazing...Stupid Bethesda,they should really cut out the micro dosing,let alone the micro transactions..Things are only going to get worse for them until they make a new engine,or use another dev's..Are they really stupid enough to literally go bankrupt because they can't be bothered to at least learn Unreal engine or some such? Possibly.. The fact this situation even escalated as far as it did is frankly ridiculous. I guess giving customers what they actually pay for is becoming a rarity. I love the original response they gave when asked what they were going to do about it. "We aren't planning to do anything about it." People that buy these products deserve worse. Oh Badthesda, what will you think of next? That thumbnail pic reminds me of Kevin Keegan's famous 'I would love it'.